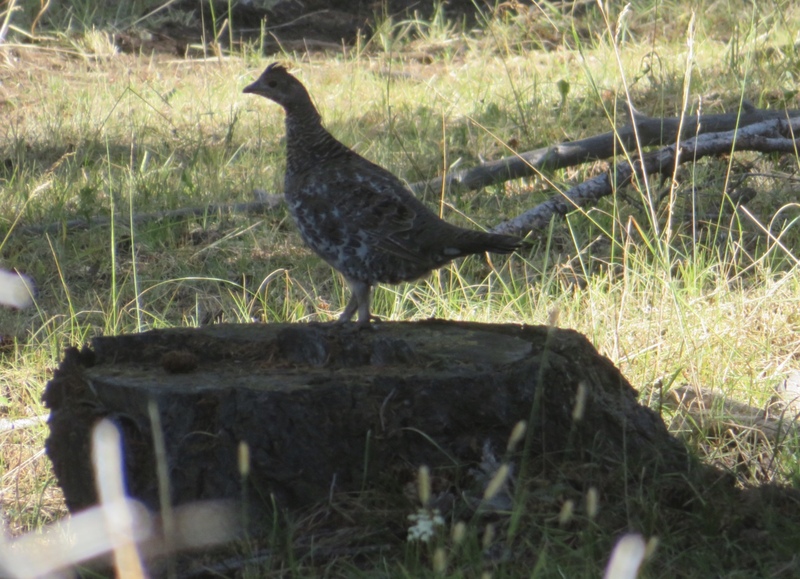 Be entertained by a blue grouse! Doesn’t it look like it’s on stage, ready to do the can-can? I haven’t done a Q and A session in a while… any questions out there? Post them in the comments, and I’ll answer them next week. My other Q and A posts have their own tab up above… but I’m sure you can come up with some new questions! A question: Do you recognize the country in the old black and white photos that you post? Is it near your place? I enjoy seeing them and how they did things back then and what they looked like, e.g. their hats and dress and their equipment. I do have a question! Do you have any favorite beef recipes for the Instant Pot or slow cooker that you’d like to share? 🙂 I’m getting my first half beef from Big Trails this fall, and am dreaming of how I’m going to cook up all of that goodness! just waiting for the spot lights to come on! Hahahaha! that’s a good one!